Dr Larder is one of the world's leading experts in the fields of HIV drug resistance and pharmacogenomics. 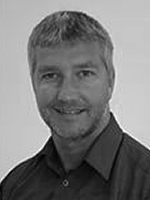 Dr Larder is a graduate of Cambridge University and started his professional career studying herpes viruses at the University, gaining his PhD in Virology. Moving to Wellcome in 1985, Dr Larder went on to discover HIV drug resistance. His seminal work on AZT resistance and its genetic basis was achieved while working as Head of Clinical Virology for Wellcome in 1989 and published in Science that same year. Since then Dr Larder has continued to pioneer understanding in the field, unravelling the genetic basis of resistance to several other HIV drugs and developing many of the laboratory techniques for studying HIV drug resistance, including phenotyping and genotyping methodologies. Dr Larder left Glaxo Wellcome in 1997 to set up the UK subsidiary of Belgian diagnostics group Virco. During the next four years Dr Larder helped Virco to become a leader in HIV drug resistance testing and developed a revolutionary new approach to the interpretation HIV genotypes - the Virtual Phenotype. This provided interpretation of individual patient genotypes, by matching them with genotypes in a large relational database and retrieving and averaging the phenotypes from those matched viruses. Dr Larder was appointed Chief Scientific Officer of Visible Genetics following their acquisition of the Virco's Cambridge research group in September 2001. At the same time Dr Larder instigated the formation of the HIV Resistance Response Database Initiative, or RDI.